Home » Home Page Slider » Let us help with your next lighting project. Let us help with your next lighting project. Posted by cogden on Dec 9, 2012 in Home Page Slider | Comments Off on Let us help with your next lighting project. Upgrading, remodeling, or building – lighting can change the entire mood of your space or room. Logan Electric has all of your lighting needs covered. 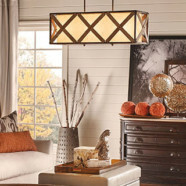 We carry major lighting brands in store. Complete lighting solutions: we have you covered. Our Services are Second to None.